Huize Doeschot is located in Hippolytushoef-Westerland, a small village on the late island Wieringen in the northern part of Noord-Holland. Wieringen is originally an island in the Waddensea. And true, Wieringen still is. Recognisable to the sloped landscape. And to the original atmosphere of rest and kindness. Also Wieringen have its own diverse nature and is bordering plenty on the water. An ideal location for an holiday, your visit recommended. Bicycling and walking over the small country-roads and over the original seaweed-dam, with beautiful views over the island and to picturesque villages as Hippolytushoef, Oosterland and Westerland. And in other moments nice views over the sea and over the polder Wieringermeer. Sailing and surfing on the lake Amstelmeer. Near by the house is a beach with clean swimming water; also ideal for children. And if you have wishes for the evening? Several nice restaurants in our direct surroundings will help you likely. Wieringen have its own monuments, which reminds you to a long history. 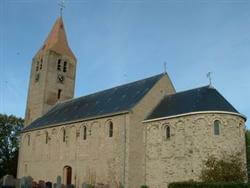 Examples are old farmhouses, churches and museums like "Museum Jan Lont" which shows you the earlier living. Also very interesting is the “Viking Information Centrum” and the “House of the Wadden”. In the picturesque fisher-harbour Den Oever is a weekly fresh-fish-market; an apprehension in the surroundings. We advice you also a trip on the Waddensea for example with a lifeboat. Or otherwise a trip with a real fisherman's-boat. It shows you how the fish will be catched by nets and than after will be worked up. The fisherman tells you likely a lot off. Of course it is also possible to catch your own fish by angle. Do imaging yourself following. During flood-tide on the Sea you see out over the wide water and at the horizon you recognize the other Waddensea-islands Texel and Vieland. And hardly six hours later during the ebb-tide, you see the seals resting upon the dry Wadden and at the horizon the sun-down ... .
We suggest also nice trips in our surroundings following. The wide beaches alongside the Noordsea and the dunes are nearby. On the “safe” country-behind Wieringen, you will find the old Hanse-cities Hoorn, Alkmaar and Enkhuizen. Cities which became to an enormous prosperity during the “Golden Century”, and now fully are restored. And Amsterdam is only 50 minutes a distance by car. Also we advice you the wide polder Wieringermeer and the old country-region West-Friesland. In the polder Anna Paulowna you will find in the spring the fields with bulbs full flowering; a living painting. Unique is the dam “Afsluitdijk”; in the middle is a point of view, from which you have nice views over the Waddensea and IJsselmeer, up to the coastlines of Friesland and Noord-Holland. 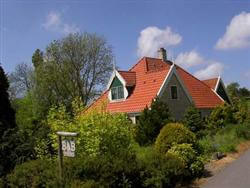 Bed & Breakfast "Huize Doeschot" is an original farmhouse. Located on the boarder of the village Westerland and situated on the slope of the “Westerlander Bult”, the highest stowing-dune on the island. The house is complete restored to a living in 1992. The two guest-rooms are wide, each having a sitting and sleeping and completed with storage and tv/ radio. The bathroom is furnished with a wash-stand, a shower and a toilet; for common use, only for the guests. Near the house is a garden of 13.500 M2 with terraces, paths and sits, from were you can enjoy the quiet and have a nice view over the direct surroundings. Holiday on Wieringen. Enjoy it. Al seasons.